So the president has said he’s willing to make a deal: if Democrats will support real, permanent border security, including a wall on the southern border where appropriate, remove incentives for future illegal immigration, and modernize our immigration system, the roughly 700,000 DACA recipients can receive legal status so they no longer have to live in limbo. In 2006, then-Senators Barack Obama, Hillary Clinton, and Joe Biden voted to increase the size of the border wall. Democrats should support these same ideas again so that we can come to an agreement that is good for DACA recipients and the American people. Shutting down the government in support of illegal immigration or keeping the DACA issue alive so it can be used to gin up liberal activists and run campaign ads isn’t good for anyone. We can achieve this agreement if we put political theatrics aside. Focus on finding a solution, and ignore the entertainment-obsessed media, which are all too eager to amplify “he said, she said” controversies and politicians trying to derail an agreement. We can’t get distracted. 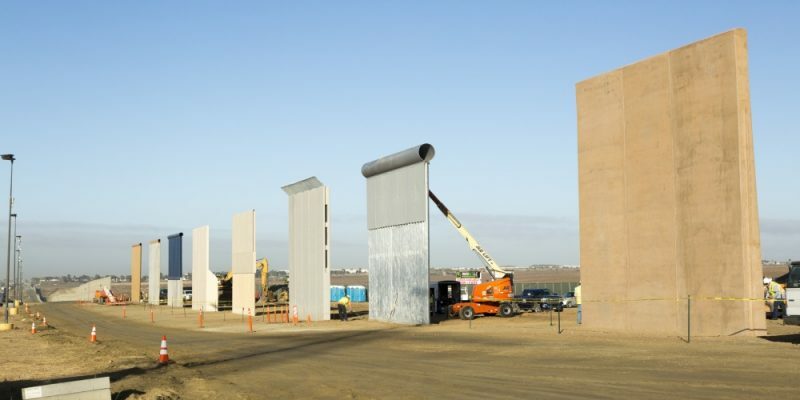 Cost should not get in the way of building the wall and securing the border either. Congress should think creatively. Here’s one potential solution we could consider: it’s estimated that billions upon billions of dollars a year are moved across the border by drug traffickers laundering their cash. Money is the primary motivation for selling drugs, and a root cause of our nation’s opioid epidemic. But even now, the federal government intercepts only a tiny fraction of that money. If agencies like Customs and Border Protection, the Drug Enforcement Administration and the U.S. Treasury improved their information sharing, leveraged big data and ramped up apprehension efforts, we may be able to seize billions of dollars from drug traffickers, strike a major blow against the illicit opioid supply, and fully pay for construction of the wall and additional border security measures. Together, these are all proposals that would protect Americans and make our country stronger. They just make sense. Perhaps that’s why countries like Canada and Australia already have merit-based immigration systems, which welcome newcomers who can be productive members of society and help grow our economy with skills that are in demand. This is far more sensible than our outdated system, which is currently based on family connections and random lotteries. We’ve seen the negative results of this system, including terrorist attacks here at home, and financial strains placed on American taxpayers, our schools, and our criminal justice system. We can change things for the better – but it takes two sides to make a deal. Bill Cassidy, a physician, was elected to the U.S. Senate as a Republican representing Louisiana in 2014 and earlier served for six years in the U.S. House. Previous Article JOHNSON: What Do You Need To Keep A Republic?